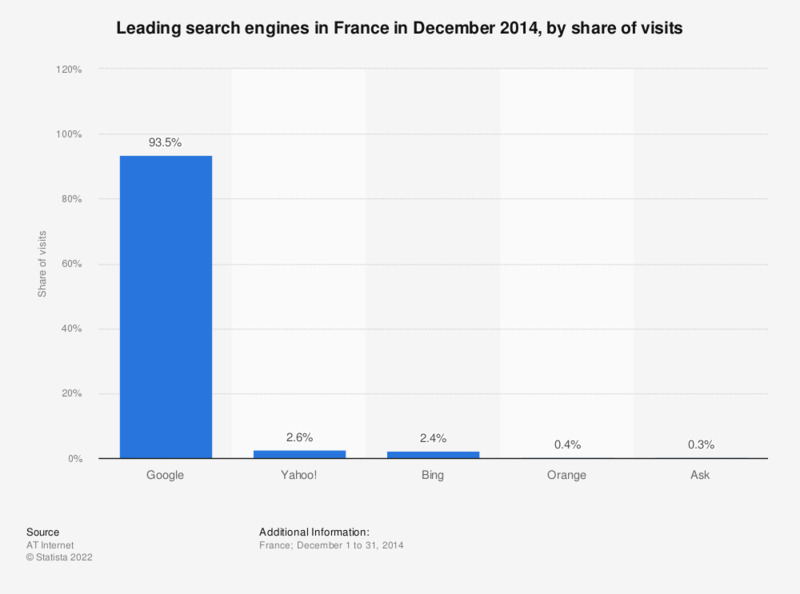 This statistic shows the ranking of search engines in France in December 2014, by share of visits. Yahoo! took the second place of this ranking with 2.6 percent of visit shares. The source adds the following information: "average indicator per website."